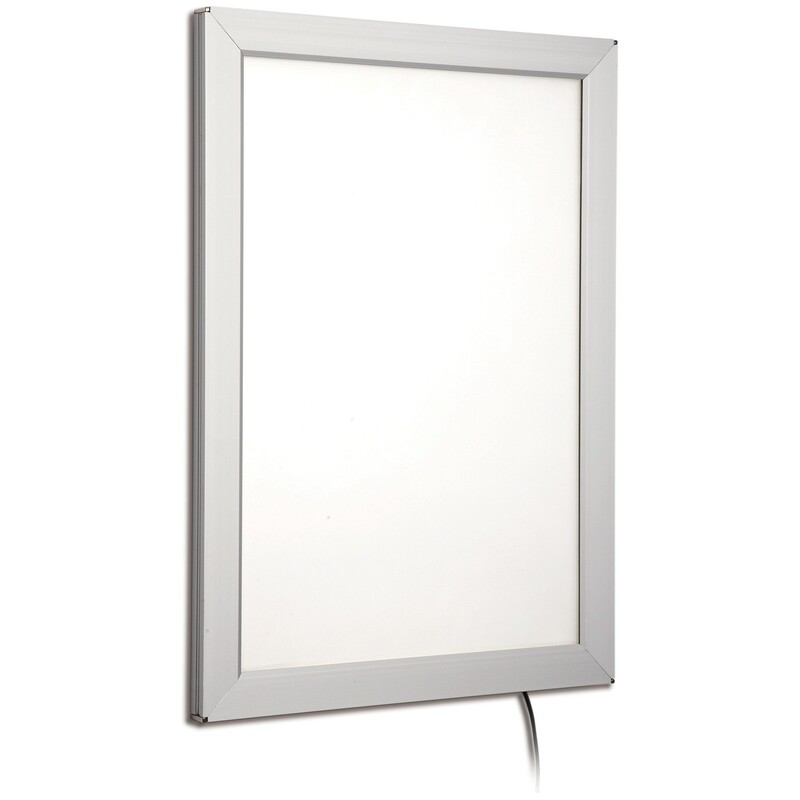 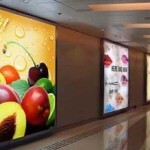 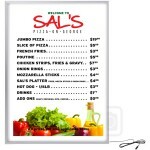 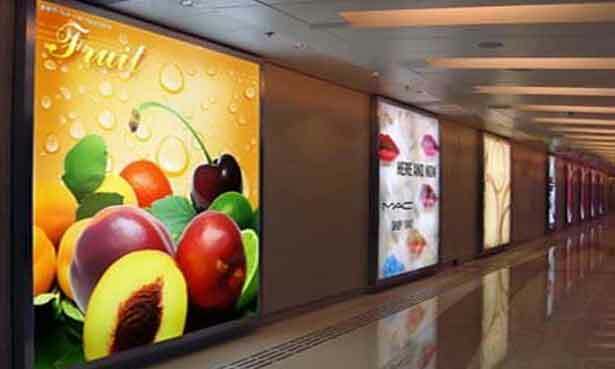 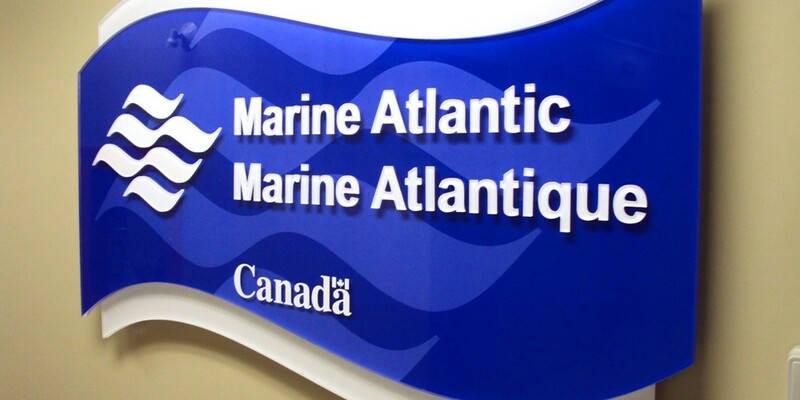 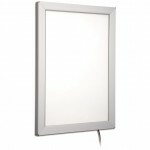 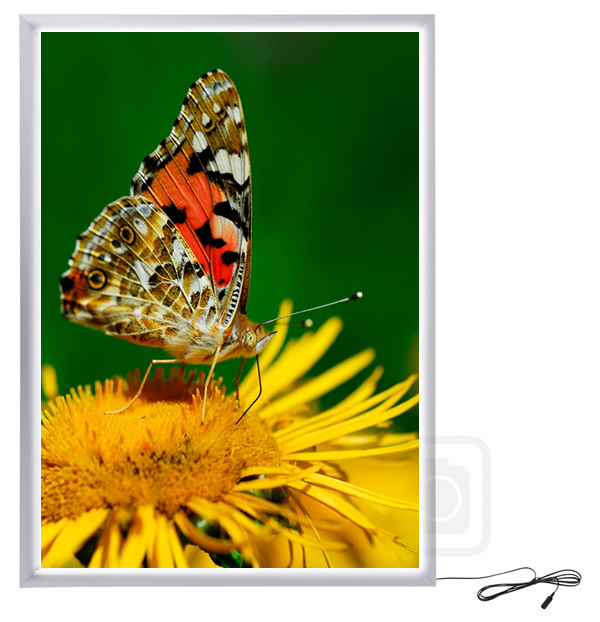 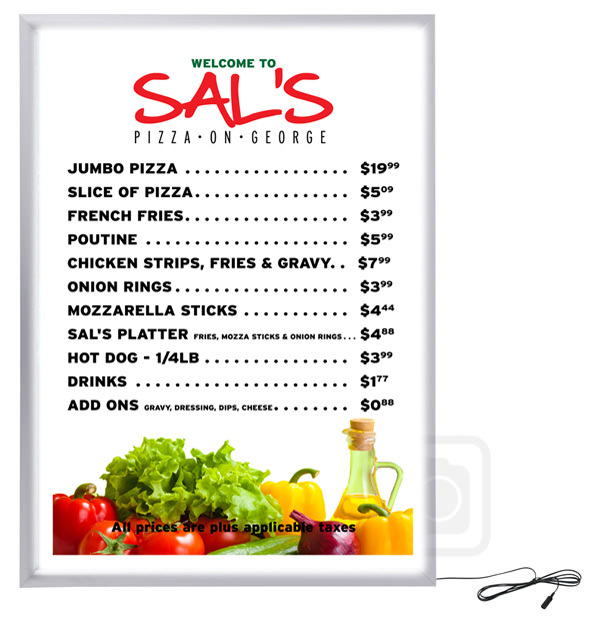 LED Poster Frames are super slim frames that are back-lite to make the image pop with colour. 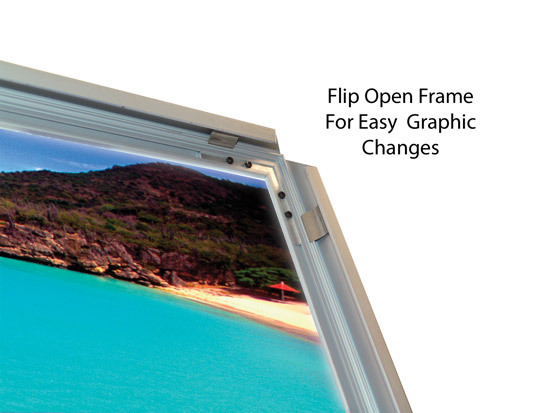 The frames flip open so easily change out the graphic in seconds and require no maintenance and extremely little power. 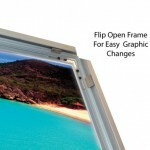 The frames come in a wide range of sizes to suite and budget and fit anywhere.